What is Like Farming? And how can it affect you as a writer or blogger? Learn more about this shady marketing technique and why you shouldn't encourage it. Those of us who write content online, via our own blogs or free-to-use sites here like Zujava, learn early on that theft and plagiarism can be a serious problem against which we must diligently protect ourselves. Unscrupulous bloggers and internet marketers may steal our content to post on their own sites, substituting our affiliate links for their own; others might steal our photographs, recipes, how-tos and other words and art for their own pages placed on other sites. But there's a new kind of content theft which many are not aware of yet, nor do they understand how it works and could be hurting our online reputation - and income. It's taking place on Facebook and it's called "Like Farming" - because it's all about gathering "Likes" and "Shares" for a Facebook page in order to unscrupulously make money for the page owner. For a while most of these scams tried to play on our sympathy in various ways, but at the moment food bloggers and recipe writers seem to be major target for having their original photographs and recipes stolen by these online thieves. Who knows what kind of content they'll target next! If you haven't heard about Like Farming before, read on as I'll attempt to explain how it works, why it's bad, and what you can do to protect yourself (and others) against this harmful scam. Have you ever had your online content stolen by another website? Yes, I've been the victim of content theft. No, not that I've ever found. I'm not sure - I've never checked for or been alerted to any theft of my content. It seems harmless enough to "Like" a cute animal picture or funny post that your friends are passing around on Facebook. It might come from an innocuous-sounding Facebook page like "Cute Baby Animals" or "Have A Laugh"1, and possibly is tagged with a caption or comment to "Please LIKE and SHARE this post if you agree!" So you share it along, your friends like it, they share it along...next thing you know this one cute baby animal picture or funny image has over 50,000 Likes and Shares. Or, you might see a post that seems to be promoting a worthy cause, with a picture of a young child who is supposedly suffering from cancer. And a big corporation has promised to donate money toward her treatment "if her picture can get 100,000 Likes." Or it could be a photo of a child with Down Syndrome, being posted with the caption "This is my sister Mallory. She has Down syndrome and doesn’t think she’s beautiful. Please like this photo so I can show her later that she truly is beautiful." Of course, both seem like good causes, so you add to the Liking and Sharing. What could be wrong with that, in any of these cases? Well, it could be that Mallory is really a girl named Katie, and Katie's mother is horrified that her daughter's picture is being used without her knowledge and permission. And there is no corporation giving money to pay for some kid's cancer treatment, just because of Facebook Likes (that child's photo was likely randomly picked off an internet site as well). That cute baby animal photo was stolen from a photographer without permission, and the funny or heartwarming story was probably plagiarized or completely untrue to begin with. Why would people do things like this? 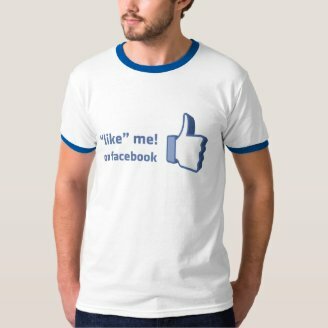 Because Facebook Likes and Shares can mean big bucks to scam artists. Once a Facebook Page reaches a certain number of desirable likes, say 100,000 or more, it can begin placing ads on the page - ads that then show up in your newsfeed if you've Liked the page yourself. Those ads could be for anything whatsoever: a business the person running the page may own and want to promote, a product they earn affiliate commissions for selling, or more dangerously even malware that could lead to identity theft if you end up installing it on your computer. All because you innocently liked a funny saying or passed along a cute animal picture. There's also of course a market for selling these pages with high Like counts to other scammers - and we're talking selling them for thousands of dollars. I'm not going to include any such links but you can simply Google "Facebook Page for Sale" and you'll see some of the dirty business going on. * What Really Happens When You "Like"
* Like Farming: Why You Should Think Before You Click "Like"
Image above: The text on a typical Like Farming stolen photo. The recipe described for it didn't even match what was shown in the photograph, when I found its original source on a blog website. So, you know now to think twice before you hit the "Like" button on a Facebook page post being shared around, because you don't want to contribute to an internet marketing scam. But what does this Like Farming potentially mean to you as a writer or online blogger? It means you need to watch out, because your content could be stolen and shared around Facebook for Likes without your consent. Like Farmers are getting a little more clever these days. They know people are starting to wise up to scams like the Mallory post above - either that or they're looking for new territory to exploit. Recipes seem to be one of their growing targets now, certainly if I go by the endless recipe posts showing up in my own Facebook news feed from people being told if they like a recipe to "PLEASE SHARE To SAVE this recipe, be sure to click SHARE so it will store on your personal page" (or some variation thereof). Indeed, word has been spreading since earlier this year, in the food blogging community, of how recipe photos and details are being stolen from bloggers' sites to be used in Facebook Like Farming scams. ("Food Bloggers Fight Firestorm of Abusive Facebook Pages"). I did some quick investigating this past week of some recipes that were showing up being Shared and Liked by my Facebook friends. About 2/3rds of the time, those recipes and/or their photos were stolen from a food blog, AllRecipes, or other website without permission or giving any credit. Photo copyrights were cut or blurred out. Sometimes the recipe listed wasn't even the same one in the photograph! I contacted one food blogger directly with a link to such a Facebook Page post, asking if her recipe and photograph were being used there with her knowledge and permission, and she thanked me for letting her know because it absolutely wasn't. Many of the stolen photos seem to be coming from people grabbing them off Pinterest boards from the searching I've done so far. Why is this bad news for you if your content is stolen? The same would hold true for any other kind of content, and I've heard word from people in other special interest communities, such as gardening and crafting, that such image/content theft is happening on Facebook with their original work as well. People don't think they are "harming anyone" by sharing around and Liking stolen content on Facebook, but they absolutely are doing just that. They're harming the original writers and photographers whose work is used without their permission (even if a credit and link back is given; that's not enough, permission by the copyright holder must be requested and agreed to first!) They're potentially harming others using Facebook who might be tricked into downloading malware being posted and advertised on one of these Like Farming Pages. They're just plain deceiving people, too, as so often the photos being shared and their connected text have nothing to do with each other. 2. Scammer trolls Pinterest looking for great recipe photos to steal. He crops out any identifying copyright or website link. 3. Scammer posts recipe photo at My Momma's Best Recipes, with the recipe ingredients either directly stolen from the source, modified slightly, or perhaps taken from a completely different source. At the end of the recipe he encourages people to Like and Share if they want to save it to their Timeline. 4. People start Liking and Sharing the recipes - because the photos look so good! Soon an individual photo has over 40-50,000 Likes and Shares. Over the course of a month or two's work, scammer now has several hundred thousand Likes for My Momma's Best Recipes. 5. Scammer goes to a Black Hat marketing forum and presents My Momma's Best Recipes - either up for sale entirely for a few thousand dollars, or offers to start placing other's ads on the site for their Facebook aps, weight loss product scams, identity-stealing malware and other lovely products. Suddenly these ads start showing up on your Facebook newsfeed because you've liked one of My Momma's Best Recipes before. It took me a while to figure out what was going on with these thieves, but after seeing multiple incidents it's become clear to me: people promoting multi-level marketing scams (such as for shady/dubious weight-loss products) are also stealing content like crazy. Especially food photos and recipes, rather ironic as often these recipes are for decadent cakes, desserts and meals...is the message supposed to be "Take this pill and you can still lose weight if you indulge in these treats?" I'm not sure. Example: A typical snapshot of a Facebook photo album from one of these diet-product "marketers"
Stolen food pictures mixed in with product advertisements and supposed "before and after" shots. 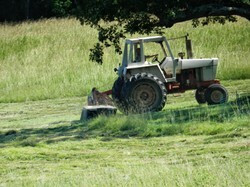 What Can You Do To Protect Your Work from Like Farming Theft? Unfortunately it can be hard to hunt down thieves online - or at least to always be able to find where your work may have been reposted without your permission. Here are a few things you can do, however, to try to protect yourself, other writers, and spread awareness. 1. If you see a suspicious-looking post showing up on your Facebook newsfeed, do a little investigation. Does it link back to an original source, where it seems to be posted WITH permission? (Say, was it shared on Facebook by the blog or website owner directly, via her Facebook page.) If not, try searching for the image's source using a reverse search engine such as TinEye. (They have a browser plug-in that's very handy as well.) Remember that Facebook will only respond to a copyright violation/DMCA takedown notice if it comes from the actual copyright holder, so you might want to send an email or leave a comment for the original author to alert them of your findings. Wouldn't you want to be notified if it looked like someone was possibly stealing your content? 2. Try to educate your Facebook friends about the problems of Like Farming and encourage them to think twice before Liking and Sharing. If you find the original source for a recipe or other article, share that link with them and encourage them to like and share THAT instead, not the suspicious-looking one to a Facebook page. If they don't understand why this is a "big deal", perhaps send them a link to this article as well - I don't mind! Or this one especially about recipe theft and Facebook, which explains what a big deal it can be for a food blogger: "Sharing Recipes on Facebook, Pinterest and Google+". 3. Keep an eye on your popular content online to make sure it's not been stolen or plagiarized. You can use TinEye yourself - probably a good idea if you have any images pinned on Pinterest that have gotten a lot of "re-pinning" as those seem to be easy-pickings for thieves today. Copy a sentence or two out of your article, blog, Squidoo lens or Zujava leaf into Google and see if it comes up on other sites, reposted in its entirety or partially. There are also many plagiarism checkers on-line that can be handy in seeing where your work might show up as stolen. 1I just made up the Facebook page names used here for examples; if they exist on Facebook I'm not necessarily accusing them of such a scam. 2 Many people get confused about recipes and copyright, which is perhaps why Like Farmers think they can get away with stealing them so easily. Basically, a list of ingredients cannot be copyrighted, but the specific instructions to prepare a recipe and any descriptive text may be subject to copyright in the form of "substantial literary expression—a description, explanation, or illustration, for example—that accompanies a recipe or formula or to a combination of recipes, as in a cookbook." (U.S. Copyright Office - Recipes) And, too, remember that a photograph is the copyright of the original photographer unless they have released it as Creative Commons or Public Domain, or sold the copyright to another. 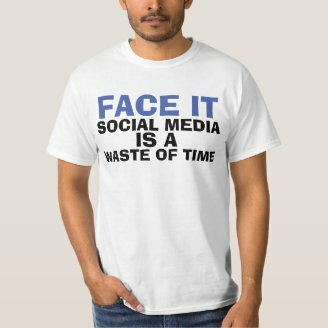 Are you just sick and tired of Facebook, period? Is it time to quit Facebook for good? That's the question many people find themselves wondering, and whether the social network is good or bad for our relationships. The new Facebook news feed hasn't impressed everyone. If you don't like it, here are some tips on getting it to work how you want. This article talks about the new Timeline view which is now taking effect on Facebook.